Louis Vuitton founded his company in 1854 after completing his apprenticeship with a Parisian luggage and luggage manufacturer, where he continued to work for a further 17 years.In the Rue Nueve-des-Capucines, near the Place Vendôme, he opened his business called “Louis Vuitton Malletier”, which means “Louis Vuitton Suitcase Maker”.Not from noble Louis Vuitton bags but from beautiful suitcases were his first collection.These were light, flat, and for those circumstances very practical and luxurious travel companions.Louis Vuitton has always had his bags and suitcases in the luxury segment. 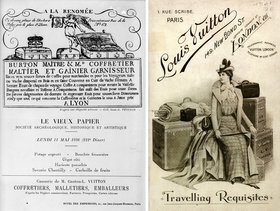 Already 5 years after the founding, in 1859 Louis Vuitton opened a factory in the Paris suburb of Asnières. The 20 employees of this factory were specifically responsible for manufacturing the cases. The framework was made of wood and metal. The surface was a linen cloth, which was impregnated with rye flour. The so-called Trianon, which at that time still had a gray color, protected from dust and water. The factory in Asnières grew to 100 in 1900, and in 1914 to 150 employees.Today, the number of employees has declined to 150, all of which are responsible for the high-quality range of the French designer.On the globe, there are 17 production sites for Louis Vuitton products.The first shop outside Paris was opened on Oxford Street in the British capital London and is still there. 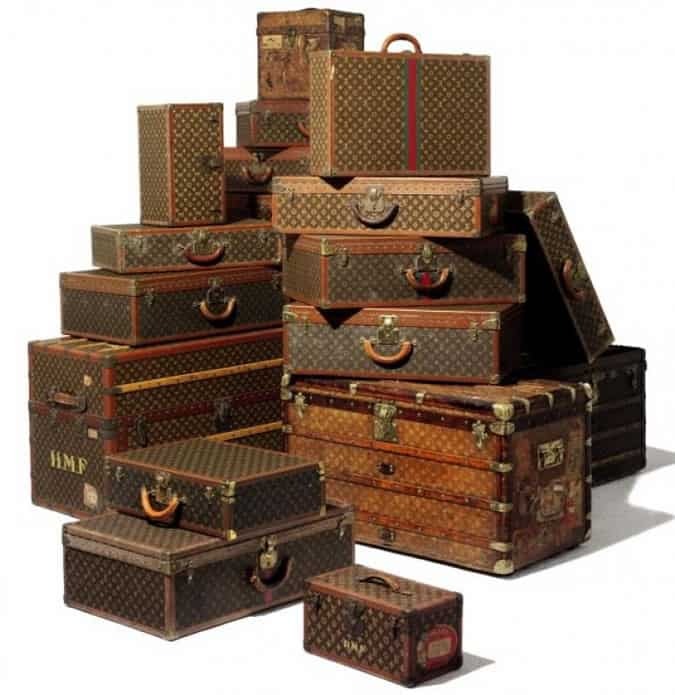 Louis Vuitton’s suitcases had often been the victim of counterfeiters, Louis Vuitton and his son developed the Damier pattern in order to distinguish their creations from their competitors’ models.Thus, the checkerboard pattern was made of beige and brown checks.On the glamorous world exhibition “Exposition Universelle de Paris”, the two Vuittons presented the public the pattern, until it was replaced shortly afterwards by the Monogram canvas, which is also to this day still the landmark of the house Louis Vuitton.In addition to the initials of Vuitton, stylized flowers are printed on the canvas, which are based on the then modern Japanese and oriental patterns.At that time, the son of Georges had taken over the company after the death of Louis in 1892.It was only 100 years later that the original Damier pattern was revived and from then on was produced under the name “Damier Ebène”. 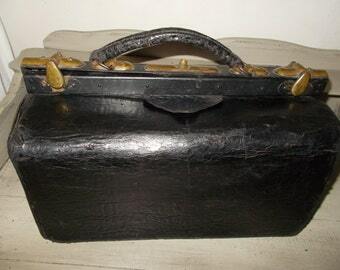 Georges developed a series of novel case creations and functions in the years following his father’s death.Once again he was able to present his products at a world exhibition, 1892 at the “Chicago World’s Fair”.The product range ranged from multifunctional expedition suitcases and ship baggage to fold-out wardrobe suitcases.Special requests were also made for special customers, such as a suitcase converted into a bed.Another innovation of the designer house was a luggage case, which was not only a novelty but also still used in Louis Vuitton’s pocket collections.Many other designers today use this style item for their designer bags . Over the years, more and more sales shacks have been on the market, which are still among the icons of Louis Vuitton. 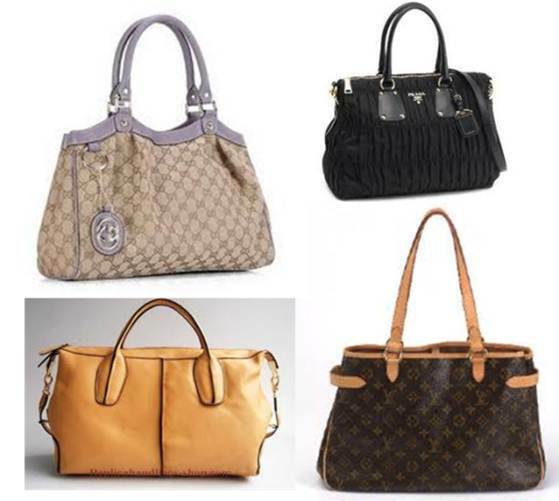 These include the “Keepall” Reisetasche, the “Steamer Bag”, the “Papillon” or the “Speedy”, whose current version almost resembles the first production. Also the “Noé” in bag form, which was once created in 1932 for the transport of 6 bottles of champagne as the first dutch bag, is still reinterpreted today. 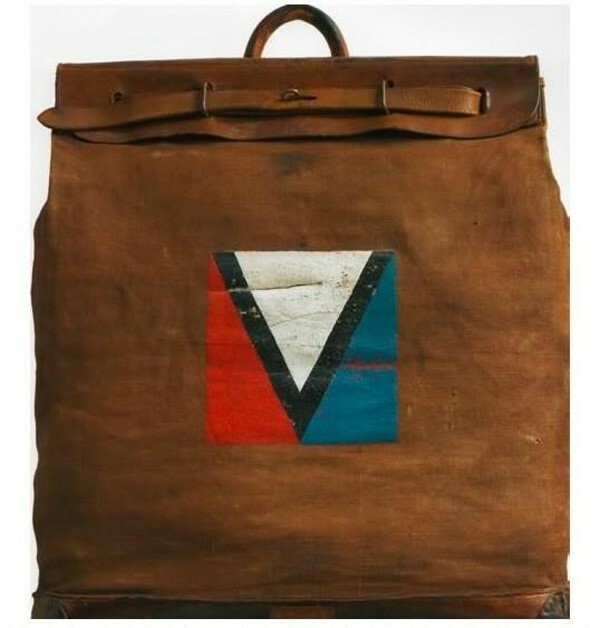 After the tried and tested linen cloth had more and more deviated from the use of leather, Gaston-Louis, the son of Georges Vuitton, now employed a vinyl-saturated cotton fabric.When the demand for large transversals declined in the middle of the 20th century, as handy and above all hard-wearing cases were more suitable for car and air travel, there were also plastic products. After the death of Louis-Gaston, his fourth-generation grandson, Patrick-Louis, joined the company in 1971.Patrick-Louis still meets the special wishes of the Louis Vuitton customers, of which about 350 are met annually.Another company growth was achieved by Henry Racamier.The husband of the daughter Gaston-Louis’ let the brand Louis Vuitton from the luxury niche market reach the status of the luxury mass market.The Asian market has been developed and a number of other production plants have been opened due to increasing demand. With the financial resources from the successful stock exchange in 1984 the champagne manufacturer Veuve Clicquot was bought up. Louis Vuitton merged with the French spirits manufacturer Moet Hennessy to create Louis Vuitton Moet Hennessy. Over the years, other well-known brands have been bundled, among others the perfume producer Givenchy. The feared hostile takeover was ultimately carried out by Bernard Arnault, who had been brought into the company by Racamier in 1988 and became Chairman of the Board of LVMH . In 1997, American fashion designer Marc Jacobs joined Louis Vuitton, launched his first clothing line in the spring and is still the creative director of the French fashion house. The clothing collections are also shown twice a year at the Paris Fashion Show. As studio director for men’s wear, Paul Helbers from the Netherlands, former designer of Martin Margiela, was employed at the end of 2005.A couple of years later, he and Marc Jacobs joined the traditional bow at the end of each fashion show on the catwalk.Helber’s successor was the Briton Kim Jones, who was previously a designer at Dunhill.Jones has appeared on the show finale since joining Louis Vuitton in 2008. In the mid 90s, there were already 200 Louis Vuitton stores around the world, including the first store in China. The two Epi and Taiga leather types have been developed, of which there are now a variety of pocket models. A limited edition of Louis Vuitton handbags with graffiti inscriptions was created with the American artist and designer Stephen Sprouse (1953-2004), who was only reserved for the company’s prominent celebrities. However, in 2009, the popular collection was again taken up and reissued with more graceful grafitti prints in orange, green or pink or also with Rosenprint. Another artist collaboration was the cherry blossom pattern with cherry blossoms in 2002, the Cherry pattern with cherry illustrations on bags and also accessories. Both limited editions resulted from the collaboration with the Japanese artist Takashi Murakami. Another designer size from Japan is Rei Kawakubo. She markets her unconventional and avant-garde designs under the name “Comme de Garcons”. For Louis Vuitton, she also designed an exclusive pocket collection. The Japanese artist Yayoi Kusama is known for her pieces with all-over dot pattern. 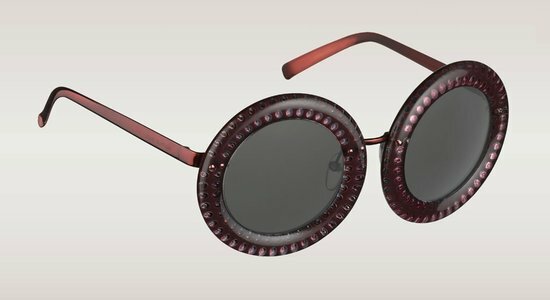 In collaboration with Marc Jacobs, a collection of bags and suitcases to sunglasses, jewelery and ready-to-wear fashion with this pattern was created. 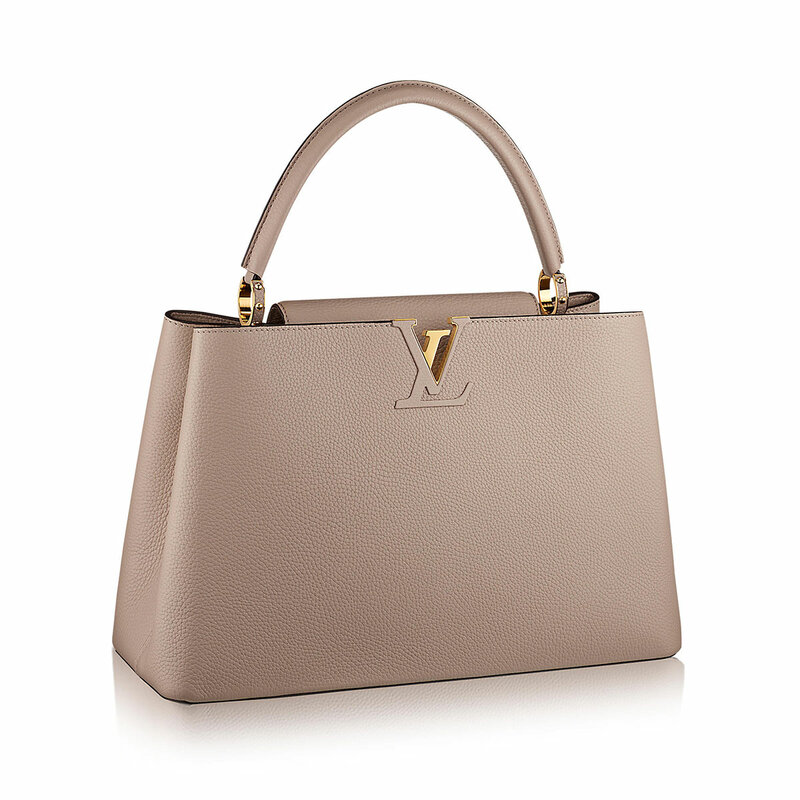 In addition to the well-known and popular collections and the limited editions, customers can also create and purchase their own personalized Louis Vuitton bag with initalia and various colors online. Since the reputation of Louis Vuitton is still very important today, only selected models and personalities are selected for advertising campaigns.Gisele Bundchen, Naomi Campbell and Jennifer Lopez were already doing the partial oversized posters on the facades of the Louis Vuitton boutiques.Further sizes from sports, music and film like Andre Agassi with Mrs. Steffi Graf, Catherine Deneuve, Michail Mikhail Baryshnikov, Zinedine Zidane with Pelé and Maradona or Angelina Jolie were promoted for the French traditional company. 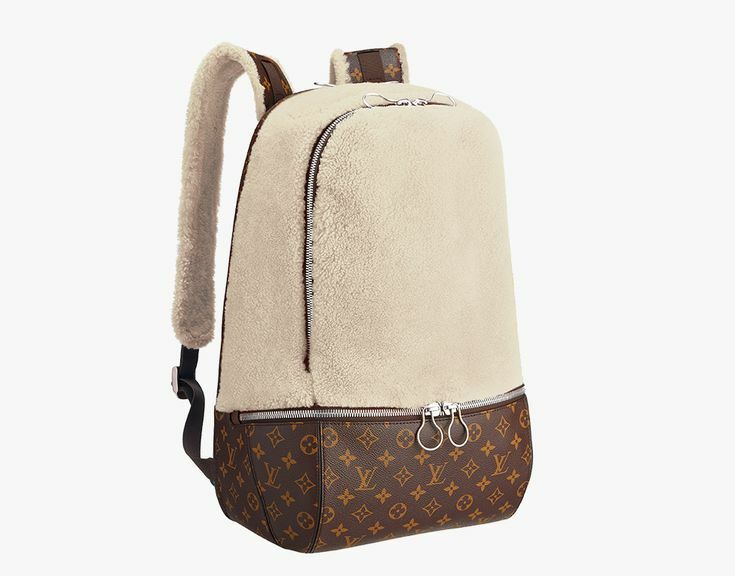 From the initial design, Louis Vuitton created leather goods in the upper price segment.To date, the bags and accessories are a static symbol, which is recognized all over the world.The products of Louis Vuitton are distributed exclusively in own stores and isolated as Shop-in-Shop concepts for the clothing department.Recognizable as a monologue, but also the largest victim of the counterfeiting industry is the monogram pattern from the initials of the founder of the empire.Louis Vuitton is proud to present Louis Vuitton, the world’s leading manufacturer of handbags and handbags, as well as handbags and leather goods, as well as shoes, watches and clothing collections for women and men.After the first by Marc Jacobs in 2011 created high-priced charm bracelet, with up to 50,000 € expensive related pendants, there is also a jewelry collection.The “Haute Joaillerie” line also processes valuable materials such as precious stones and pearls.Chief designer of the jewelery division is the German-French Lorenz Bäumer, who also runs his own jewelery company in Paris.After 1930 there were already fragrances, this year a perfume series is to be brought onto the market. The most famous pattern of Louis Vuitton shows the intricate brass-colored initials L and V arranged on dark ground with stylized flowers. What was originally linen was today a cotton-soaked canvas, so-called canvas or toile. This pattern, which is popular all over the world, is decorated with bags and suitcases, and is often completed with handles of light leather. A variant of the Monogram Canvas is the Multicolore, in which the flowers and initials can be seen in 33 different colors on white or black background.The edition especially for men is the “Macassar”, which is characterized by dark cowhide edging. 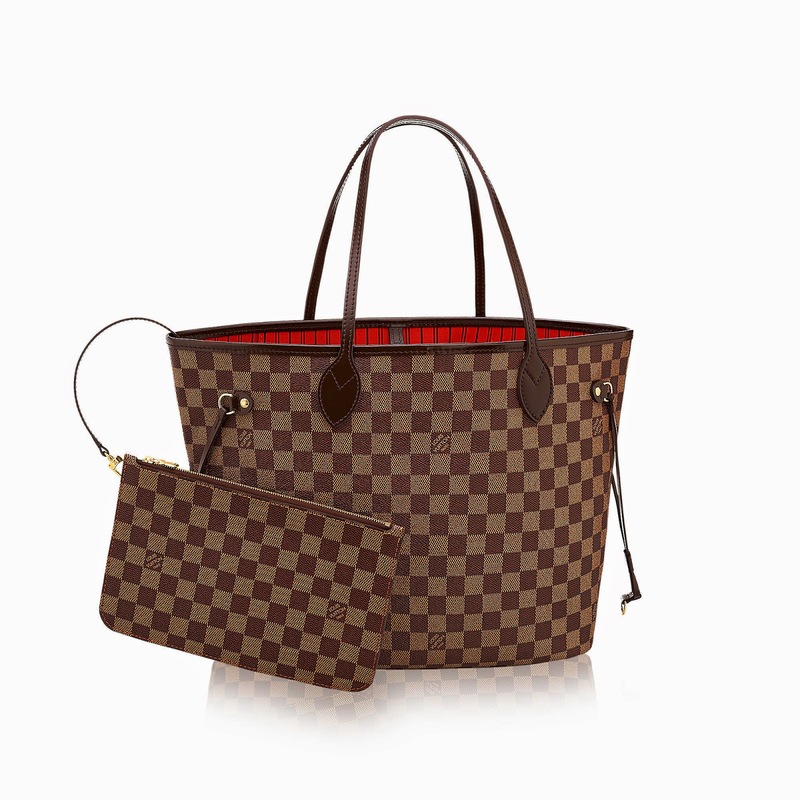 In the form of a chessboard are dark brown and brass-colored squares on the “Ebène” version or blue and cream-colored squares on the “azure”.The signature “Louis Vuitton Paris” is printed in the squares at regular intervals.Like the Monogram Canvas by Louis Vuitton is also the Monogram Damier made from treated cotton fabric.For men there is this pattern in the color combinations gray and black as “Graphite” or as “Damier Géant” with an oversized chess pattern. The initials monogram, along with the stylized flowers, is stamped on these briefs.This collection of Louis Vuitton distinguishes between different leather types.The “Empreinte” is made of grained leather, the “Vernis” are available in various colored patent leather, “Python” made of snakeskin, the “Exotique” made of snakeskin and / or ostrich leather. Both women’s and men’s bags are available in the simple Epi leather collection.A single Louis Vuitton logo is printed on textured leather. 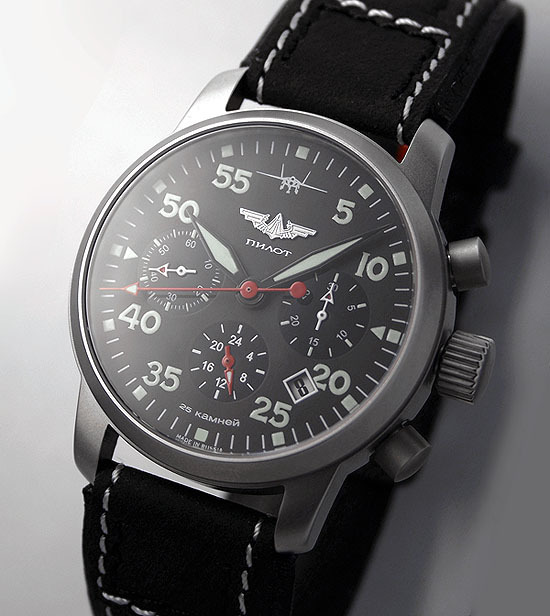 Through hole punching or perforation the monogram pattern is designed on real leather in different colors. The Antheia collection is made of lambskin or suede.The various basic colors can be found in the embroidered monogram pattern in a slight modification. 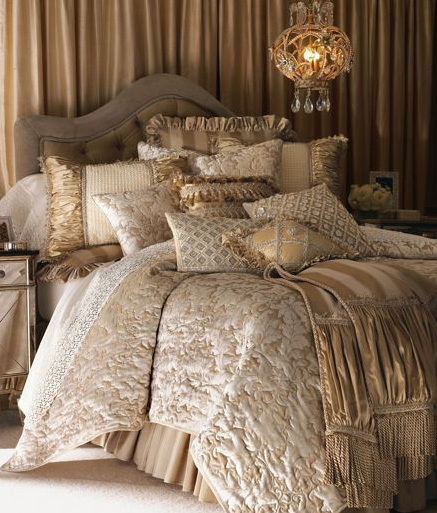 Simple and elegant, this collection is made of wild or lambskin with brass-colored appliqués and fittings. Each one of genuine leather with a single Louis Vuitton logo, there is specially for men the”taiga”from grained leather and the”nomad” from smooth leather.The”Naxos”is made of black nappa leather and shows the logo on a attached name plate. 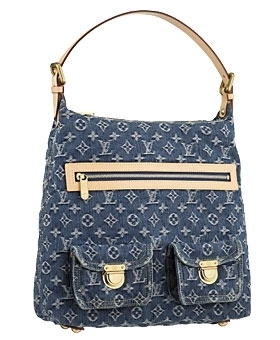 In addition to the main collections, Louis Vuitton also has a few special collections made of special materials or patterns, some of which have been produced in cooperation with famous artists and designers and are limited editions.You can also personalize your favorite bag with a colorful print of its own initials on the Monogram Canvas. On April 25th this year, the first Louis Vuitton Maison opened in the Munich Residenzpost.Munich is now one of the three cities where Louis Vuitton unites art and culture.Even the designer and founder himself was a great art lover in his day.Since the 1980s there have been regular co-operation with well-known artists.The current creative director Marc Jacobs works very closely with great figures from the art, as Takashi Murakami.He loves to bring art to the closest contact with people by means of new pocket collections and patterns.The opening of the Maisons in Munich will feature works by Thomas Struth and Anselm Reyle in the interior.On the homepage of Louis Vuitton there is more information and a great image film about the first Maison in Germany.As a special extra special limited edition stamps were created in the Louis Vuitton style. 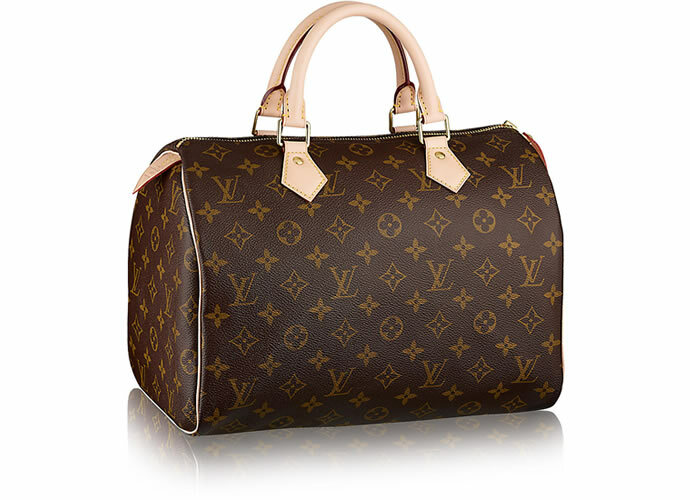 Anyone looking for an online store that sells Louis Vuitton bags on the Internet will not have found anything.Nowhere else, except on the official homepage of the designer house and in the numerous Louis Vuitton shops you can buy or order his favorite bag from Louis Vuitton.Unless one renounces the authenticity of the bag.Because there are possibilities to buy a fake bag with the popular Monogram pattern, there is like sand at the sea.The counterfeiting industry is particularly active with LV products.The early attempt by Louis Vuitton himself to proceed with an elaborate pattern against the imitators did not bring the desired result.On the contrary, more and more plagiarisms have been produced, which show the pattern deceptively genuine.Louis Vuitton is at the forefront of counterfeit brands, with the result that there is a separate department to counter product counterfeiters. 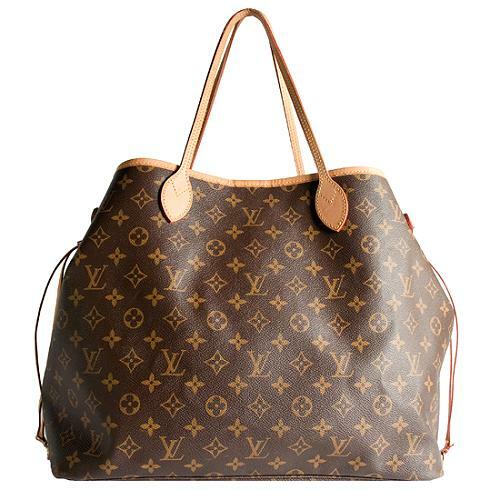 With just a few detailed look at certain features, you can check for a genuine Monogram Canvas bag, Louis Vuitton’s most popular bag with the world-famous monogram and flower pattern. The world famous Monogram Canvas (also Toile Canvas) are not made of leather, but from a vinyl-coated linen fabric.The surface is slightly textured, matt and flexible.Plagiaries, on the other hand, are very firm, rough and are made of a glossy plastic. The shoulder strap, handle and the other leather parts of the Monogram Canvas, the Monogram Multicolore and the Damier Azur are darkened from untreated cow leather, which from time to time gets its own patina.This is not the case with counterfeits, since these are often made from strictly smelling sheep’s leather.In addition, the edges and edges of the leather parts are usually colored bright orange or multi-colored, which is true-red in real bags. Monogram Canvas bags are made of beeswax wrapped seams in a bright must-yellow.The colored models of the Epi leather series have seams in the respective color.In contrast to fake bags, the seams of the genuine bags are accurately and regularly processed. The logos on the Monogram Canvas are must-see and can be seen from the bottom left to the upper right. 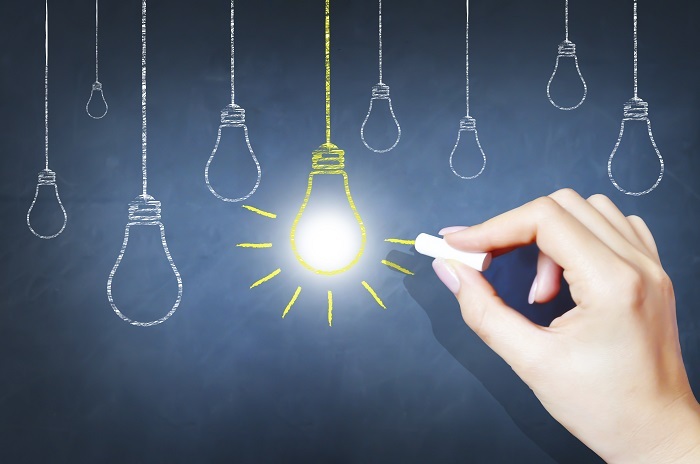 Plagiarisms often have slightly reddish monograms, which are irregular, smooth, and applied in small spots. The monograms are arranged symmetrically and never cut off at the edges and zips, so that there are only flowers at these points. Exceptions can be asymmetrical bags such as the Sac Shopping or the Petit Bucket Bag. The logos on the Multicolore models are available in 33 different colors.For counterfeits the color palette is only limited to 5-6 different colors.The interior of the Monogram Canvas Blanc is almost burgundy, the Monogram Canvas Noir has a dark gray lining from Alacantra leather. This usually punctured pressure can be distributed either on one or on both sides of the bag.It is positioned centrally and has no outgoing edges. 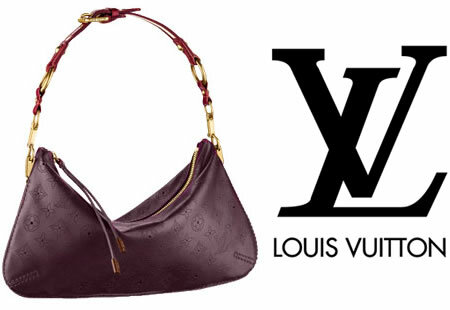 Each Louis Vuitton bag has a model number which is simply an item number or an abbreviation for the model name.These are not found anywhere on the bag itself, but only in catalogs, on the homepage or the invoice.It begins with the letter “M”,followed by 5 digits. As of 1980, datacodes were also introduced, which are well hidden in the pocket.The two letters indicate the place of manufacture of the bag, the 4 subsequent digits indicate the date of manufacture.On the older models of Louis Vuitton stand the first and third digit for the month, the second and fourth number for the year.For bags made after 2007, the first and third digits are now for the calendar week.So you can easily check if the numbers make sense.A pocket with the”SP1006″datacode would thus be produced in France in October 2006.A code that is”SP1009″,on the other hand, would be a pocket made in France in the tenth calendar week of 2009. 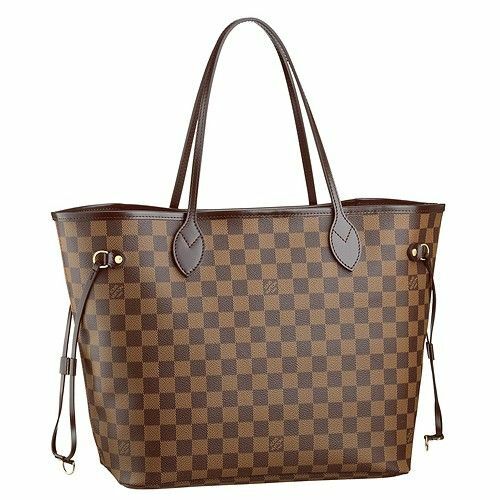 In order to guarantee a genuine Louis Vuitton bag, you should buy exclusively from the Louis Vuitton online shop or directly at the store. Even if a number of dubious online shops assure 100% real goods and also give a money back guarantee, this does not correspond to the truth – already the low prices are a sign of forgeries.